Culver volleyball program loses battle of the undefeated after 2-0 loss to St. Paul. After winning 15 games in a row the Lady Dawgs lost their first game of the season to St. Paul Sept. 22. 1A, 11-0 St. Paul beat the now 15-1 Lady Dawgs in two sets, 25-14, 25-22. Culver traveled to St. Paul for the St. Paul Tournament and went undefeated in pool play. Culver beat Regis 25-18, 25-14, Lost River 25-12, 25-12, and Perrydale 25-13, 25-21. The Lady Dawgs moved to bracket play where they would face Lost River again. Culver beat Lost River 25-22, 25-18 and moved to the semifinals to face McKenzie. The Lady Dawgs advanced to the finals after beating McKenzie 25-20, 25-17 and would find themselves facing St. Paul. "We didn't start as strong as we normally do when we faced Lost River and they took advantage of that," head coach Gabrielle Alley said. "That was a wake up call for us and we were able to pull away at the end." In the Lost River game, Irma Retano led the team in kills with 10 and Madison Miller with eight kills and no errors. Claire Bender led with three aces. Retano led with 12 kills in the McKenzie game, with Bender and Lucy Louden with five. Bridget Lopez ended the game with an incredible 30 digs to lead the Lady Dawgs. The battle of the undefeated was won by St. Paul, who won 25-14, 25-22. "They blocked really well against us and I think part of that was due to our passes," Alley said. "They knew where the ball was going to be and were able to anticipate things." Retano had 12 kills and Miller had seven, while Lopez led the team in digs with 27. "They were a good team and it was a really fun game to watch," she said. "A lose is always hard, but winning 15 in a row was good. As a coach a was really impressed how we handed the loss. No matter what the score was we kept pushing, having positive energy on our side." "This was still good for us because we still have things to work on and the girls were excited to get back to practice and work on some of those things." 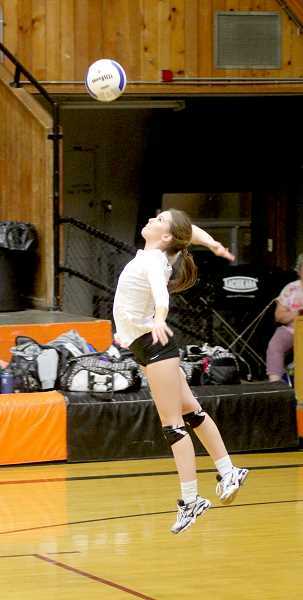 On Sept. 20 the Bulldogs traveled to Sheridan for tournament. 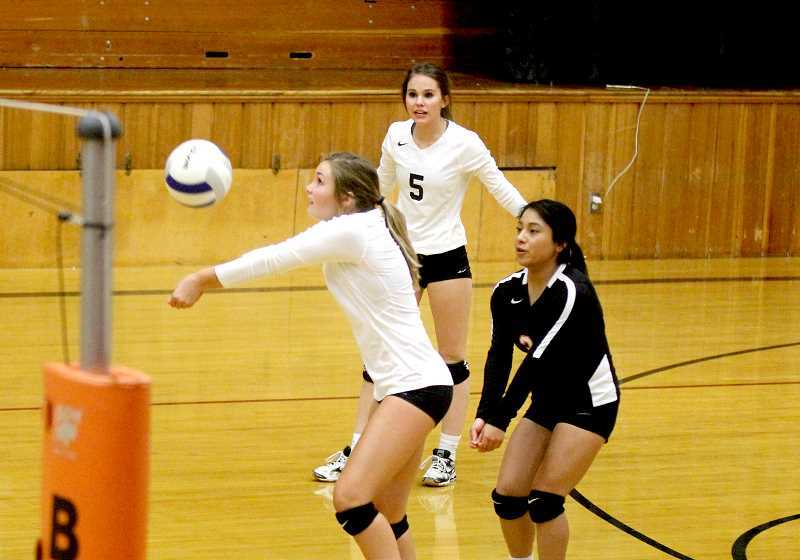 The Lady Dawgs beat both Sheridan and Delphian 3-0. Culver faced Sheridan first and won 25-17, 25-12, 25-15. They would face Delphian next and would beat them 25-15, 25-17, 25-10. Retano and Miller would lead the team in kills against Sheridan. Retano ended the game with 14 and Miller with 11. Bridget Lopez finished with 25 digs and behind her was Ratano with 11. Rosi Olivera had seven aces and Lopez with five to help Culver beat Sheridan. Against Delphian, Miller led the team in kills with 11 and Retano with eight. Lopez ended the game with 15 digs and Retano led the team in aces with five. Culver volleyball won their 11th game in a row to start the season. They beat Colton Sept. 18, 3-0, winning all three sets 25-14, 25-12, 25-18. The last Culver team to win that many games to start the season in the last decade was in 2016, when the team won their first 10 games before losing to Grant Union. Culver started the first set up 8-2 and advanced their lead after senior Avery Oppenlander served a pair of aces, putting the Bulldogs up 11-2. The second set started with a very close score. Culver had a 5-4 lead and the next play turned into a back-and-forth battle, won by Culver. Colton managed to catch up to the Bulldogs and tie the game 8-8. A spike by Miller, two aces by Rosi Olivera and a another Miller block put Culver up 12-8. The score turned 16-9 before Colton knew what happened. Irma Retano landed a big spike, taking away all hope of a Colton comeback, making the score 21-12. Oppenlander served the last four points, as Culver won the second set 25-12. "The most important thing about serves is getting the first one down," Oppenlander said. "It sets the tone for the whole game. The game is serves and passes and we have to start there — not just a hard serve, but one that stays on the court." "A hard serve gets other teams out of rotation and gets our strategy going, while helping us get a step ahead of them," she said. Culver and Colton started the third set tied 6-6 and the Bulldogs were down 6-9 early in the set. A tip from Retano ended the Colton run and the Bulldogs managed to tie the game at 11-11. An ace by Retano put Culver up 12-11 and Colton called a timeout to regroup. "We have been having some rough practices and games, so we have been talking about our energy, trying to get good vibes," Retano said. "We have really good energy, whether we are down, trying to pick each other up, always there, coming for every point." A mix of a couple of Retano aces and some hard fought points helped Culver go on a 5-0 run and take a 17-11 lead. Colton again went on a small run and cut down Culver's lead 22-18 before Oppenlander closed out the game with three serves, the last one an ace. The Bulldogs won the third set 25-18 and beat Colton 3-0. "I try not to look at the scoreboard," Oppenlander said about serving at the end of each set. "I know the game is close to the end, but if I think about it too much, it gets in my head." Retano led the team in kills with 13, with Bender right behind her with nine. Bridget Lopez ended the game with 11 digs and Bender with seven. Oppenlander and Olivera led the Bulldogs with four aces each. "We knew Colton would block well and they would be one of the tougher teams we faced so far," Alley said. "The team handled that really well and going forward, we just need to focus on our side, making sure we are playing our type of volleyball." "Our scheduling was kind of odd because we are finished with half of the teams, but still haven't played a lot of league opponents yet," Alley said. "I think from here they are capable of playing our game and maintaining a high level of play." "All the games matter and we are going to keep working hard, keep the energy up," Retano said. "We have a goal and that is make it to state, win state and to do that, we need to work hard."